From the age of two, the artist, who was born Robert Martin (son of Janet Descheeny and Frank Martin), was raised by his grandparents whose name was Draper. When he was eight years old and sent to the Chinle Boarding School, the school changed his name to Robert Draper. 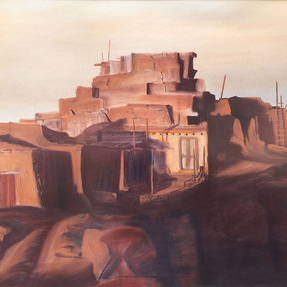 He is best known for his realistic landscapes of the Navajo Reservation.